'Ugly': A Memoir Of Childhood, Deformity And Learning To Love A Distinctive Face : Shots - Health News Robert Hoge was born with deformed legs and a giant tumor between his eyes. In his new memoir, he describes his mother's shock and how she decided whether or not to bring him home. A writer by profession, Robert Hoge was the first member of his family to go to college. Robert Hoge's new memoir is about his childhood — his first day of school, making friends and learning to ride a bike. But it's also about getting called "cripple," having multiple reconstructive surgeries and teaching himself how to play sports with two artificial limbs. 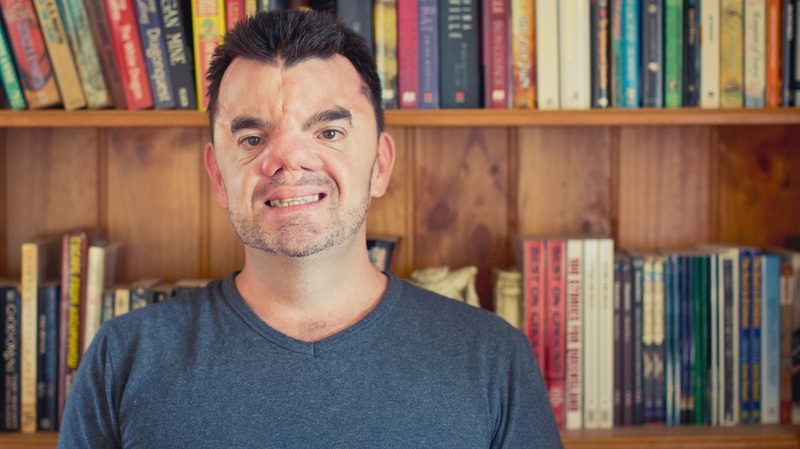 Hoge was born with deformed legs and a giant tumor between his eyes. "The tumor formed really early during my development," he tells NPR's Rachel Martin. "So it subsumed my nose and pushed my eyes to the side of my head, like a fish, and made a mess of my face, as you'd expect." Hoge lives in Brisbane, Australia, with his wife and two daughters. 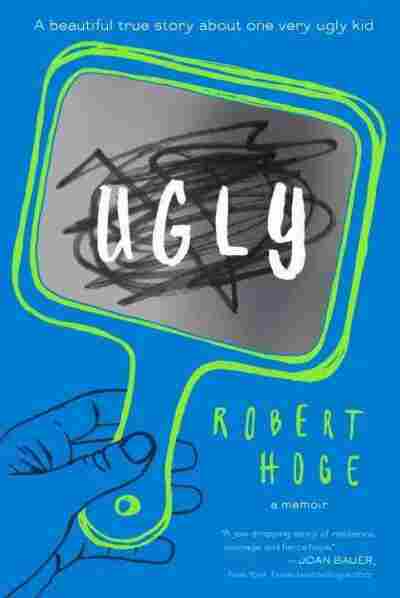 His new book, for readers age 8 and up, is called Ugly. Eventually, she processed it a bit better and she was really worried about what impact bringing me home would have on my brothers and sisters. So, the quick story is they decided to have a family discussion and they sat down one Saturday morning and talked through all of my problems and whether I should come home. And my parents one by one asked my brothers and sisters, "Should we bring Robert home?" And one by one they all, thankfully, said yes. My sister Catherine, who was only 4 at the time, reckons the only reason she said yes was because everyone else said yes before her, so maybe peer pressure is a good thing. The reason I know all of that was because one of the doctors at the time encouraged my mother to keep a diary. And she kept this lovely blue diary with beautiful handwriting in it and that was never hidden away from me. It would sit on the couch beside her, or it would be on her bedside table. ... And every now and then I'd ask mum to read me a bit from her book. And so she was really open and honest in that book about her feelings about me, and she was really open and honest with me from a very young age about her feelings. And I think I had a few times where I was a bit concerned and a bit worried and couldn't quite understand, but I think then it just clicked one day that it was like a movie that has some sad parts in the middle but has a happy ending. I was finding all of that out after knowing that my parents had decided to bring me home. And that kind of honesty and that openness was really important to me growing up and I think has really enabled me to be pretty open and honest about all of my feelings in the book. Normally with one quick and short answer. So, you know, kids would ask me, "Why have you got bumps on your head?" or "Why have you got a squished nose?" or "Why don't you have any legs?" And I would simply say, "I was born that way." And probably nine times out of 10, the questions wouldn't go much further than that. ... That satisfied them, and it certainly satisfied me. We ended up talking about some of the potential side effects of the operation, and because they were moving my eyes a little bit closer again, there was a chance — and a not insignificant chance — that I might go blind. And my brother, when he heard that, piped up and said, "Well, what use is it looking pretty if he can't even see himself?" So right then and there I decided no, I'm not going to have this operation. But certainly, you know, when you ask a girl out and she says no, and you're thinking how terribly lonely life's going to be when you're 16 years old, you know, you have moments where you kick yourself and think, "I should have had that operation," or "Maybe I can still have it." I have genuine love and affection for the massive changes all of the doctors and nurses who worked on me made to my life. But doctors are tinkerers. They're always in the back shed thinking, "If we moved that nose up half an inch, it'd look so much better." But I think, you know, thinking about it now, I'm never going to look like Brad Pitt or George Clooney, so I think I should just stick with my rather distinctive face and go from there.